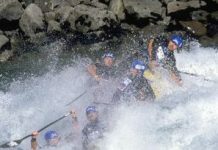 Confluence Watersports recently announced eight key internal promotions across the organization. Having proven himself an invaluable team member in various departments since joining Confluence in 2007, Hastings understands the nuances and concrete deliverables of bringing a product from concept to market. 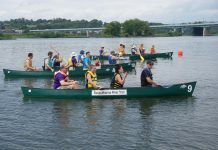 His notable kayaking skills aren’t the reason he earned the new job, but they certainly will come in handy as builds on the product legacies of AT paddles and Harmony. Over a total time of about 12 years, Scott has gained experience in several departments at Confluence. This comprehensive understanding of our organization led to a leadership role in the customer service department 18-months ago. In that relatively short period of time, he transformed the department into a solid, customer-focused team that is frequently praised by our dealers and consumers. In his new role as director, he will ensure customer satisfaction and service remains top priority for every sector. Nathan’s performance has been nothing short of sterling in his time at Confluence. In his new position, his skills in collecting and analyzing data will help to make us faster, focused and flexible to facilitate solid business decisions impacting our future. His expertise allows Confluence to keep an eye on a sustainable bottom line while being nimble and responsive to the changing needs of our customers. 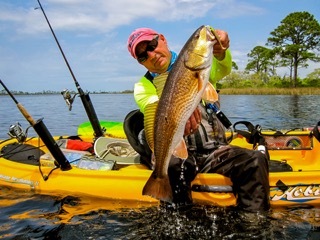 Utilizing his significant institutional knowledge, Jason is now a critical team member in the production of Adventure Technology paddles and our composite and Royalex canoes. Proving his skill on varied production teams, Jason embodies the high attention to detail, superb craftsmanship and top quality represented in our premium products. Mark is a newer member of the Confluence team, having joined in August 2012. His 28-year career in the United States Armed Forces set him up well for rapid career growth in the private sector. In his new role, Mark will manage daily production of all roto-molded boats and lead 7 other production cell managers. Confluence brands does not compromise on quality for our products, and nor do we compromise on the well being of our employees. For many years, Kenneth has been a leader in developing internal training. In his new role, he will continue to train team members, with the all-important focus on safety. A safe workplace is the cornerstone for continuous improvements in efficiencies and the maintenance of the highest quality product. Throughout Tony’s 18-year career with Confluence, he has consistently demonstrated leadership and has positively impacted performance in every area he’s worked. In his new role as director of operations, he has already created a forward-looking blueprint to lead the operations group in support of our business strategy. His depth of experience and study will focus our Supply Chain, Demand Planning, Manufacturing, and Distribution departments on delivering consistently high quality and improved efficiency. Chris will now oversee all aspects related to engineering and technical processes, including R&D, tooling and quality. With 24 years as a member of the Confluence family, Chris brings a depth of understanding of the entire industry to his new role. His can-do approach encompasses the all-important voice of our customer and the latest in engineering technologies. Confluence Watersports is the result of blending the unique watersports brands: Wilderness Systems®, Perception®, Dagger®, and Wave Sport® kayaks, Mad River Canoe®, Adventure Technology® paddles, Bomber Gear and Harmony® accessories. With a full representation of canoes, and kayaks ranging from touring and recreational to high-performance whitewater boats, the Confluence brands are well suited to outfit all paddling enthusiasts. 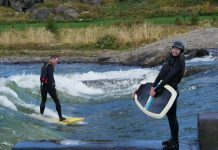 For more information about the company, please visit www.confluencewatersports.com.